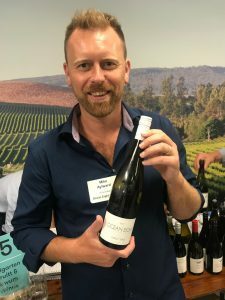 What are the hottest new Australian wines at Australia Day Tasting 2018? 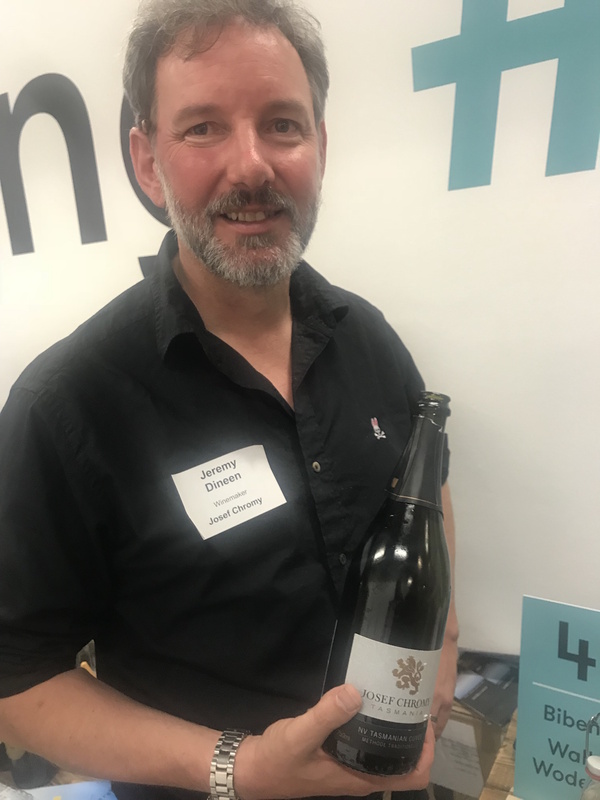 Roger Jones our travelling Michelin star editor did not need to hop on a plane this time to savour the qualities of Australian Wines at the Australia Day Tasting…. just an Uber. 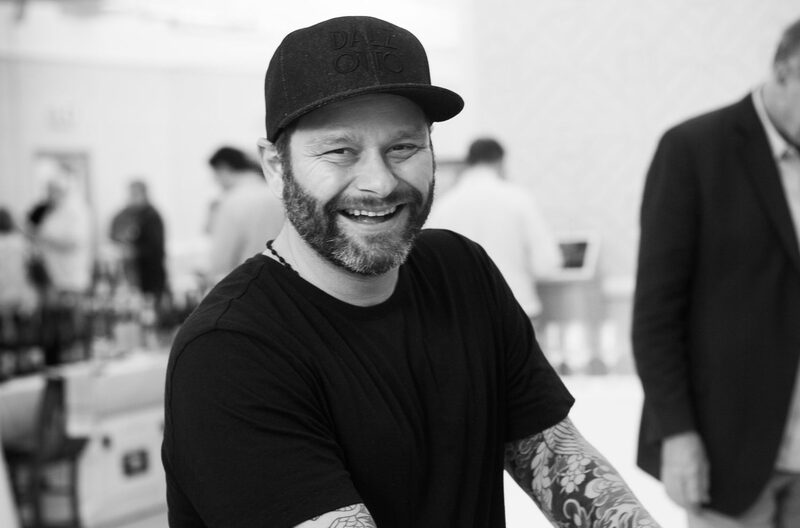 Australia has been key to my restaurant business for nearly 20 years so it’s always a joy to discover new wines and see how wineries have evolved. 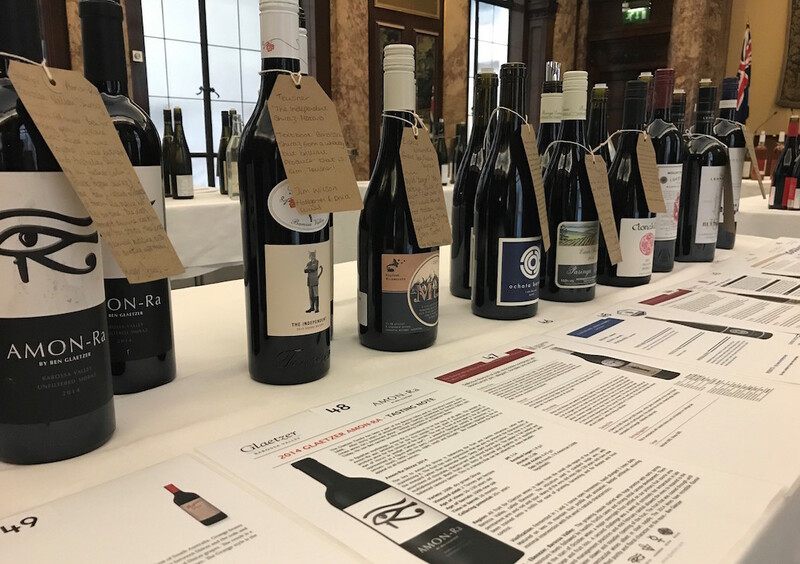 The Australia Day Tasting this year was again hosted in the vast basement of Victoria House, Holborn, London. 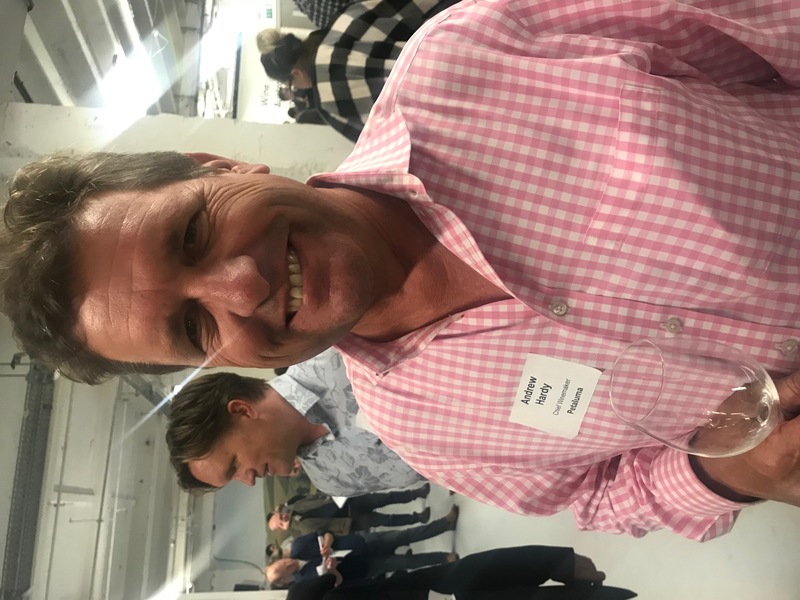 In pursuit of new wines and excellence I was delighted to capture quite a few gems and meet some great characters. 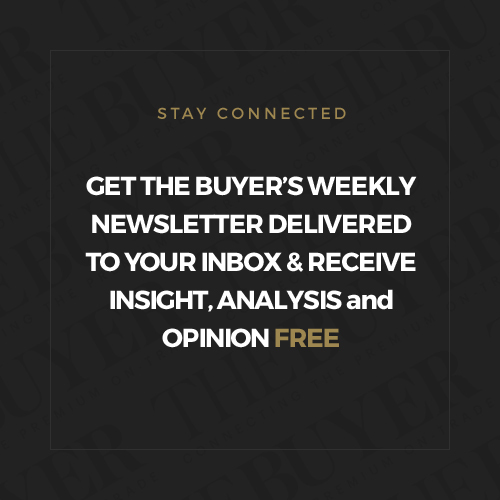 Set up by father and son Michael and Andrew Nugent in 1997, this ex-dairy farm in the Adelaide Hills has carved out a significant name for itself especially in the premium end of the market. 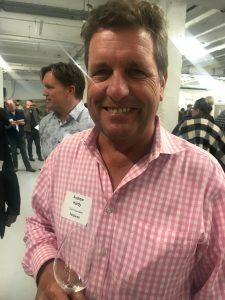 Named after the local Bird in Hand gold mine, and led by winemaker Kym Milne MW the winery specialises in Pinot Noir, Chardonnay, Shiraz and Sparkling Wine. Bird in Hand produce four specific ranges: Two in the Bush, Bird in Hand, Nest Egg and the prestige Tribute Series. Both the Two in the Bush and Nest Egg are also named after local 19th century gold mines, I am not sure if there is still gold in those vineyards but certainly the wines do hit Gold Star level. 100% Blanc de Noirs. 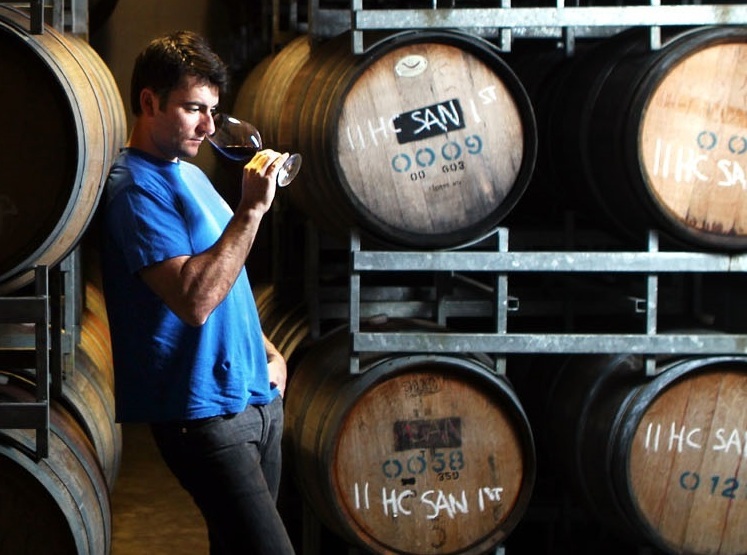 Pinot Noir, aged for four years on the lees, named after Andrew’s mother Joy. Concentrated brioche and mineral flavours, bright fresh red fruits controlled by delicate rich toasty flavours – elegance and restraint. A real class act, they also produce a bargain-priced Sparkling Pinot Noir 2017, Bird in Hand, RRP £14.95 that oozes cherries and strawberries, with a pleasant creamy feel, and fresh bright finish. Delicate and very fine minerality, focussed, a wine to age, purity, unwaxed citrus peel, nutty, abundance of freshness, a marvel. Elegance was the first word that jumped out when tasting this wine, textured, white stone fruit, mineral, honey, peaches and cream, vibrant. Great value, delicate tropical fruits, lots of flavour, delicate spiced oak, easy drinking. Clean, fresh, focussed, cassis, lamb meat juices, bright aftertaste, easy drinking. Violets and smoky bacon crisps, impressive purity but still full and intense, delicate Christmas spice, blackcurrants and blackberries, very Rhone in style. 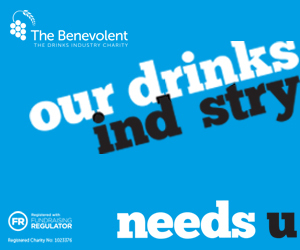 Not seen this label in the UK before and Ronald Brown the founder (besides talking non stop!) 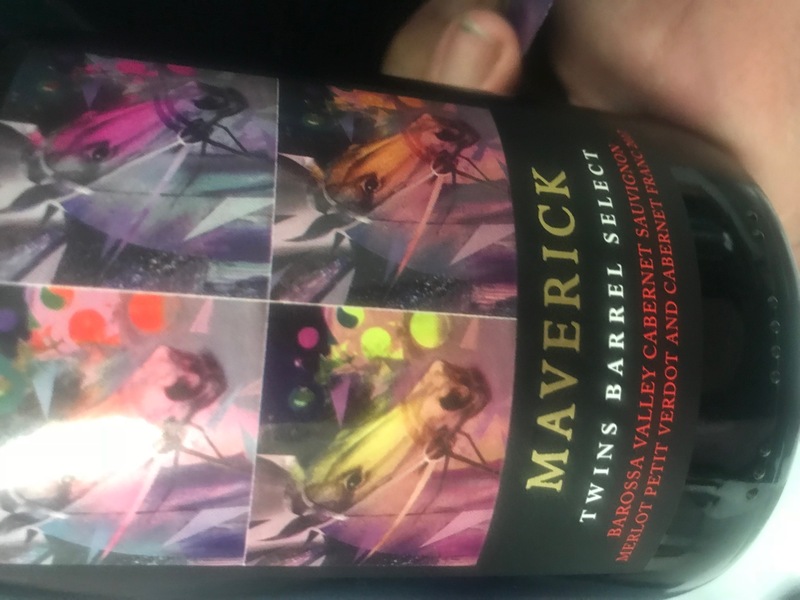 produces some pretty ‘Maverick’ wines. 100% home grown biodynamic fruit, sourced from unique sites across the Barossa and Eden Valley, he also bought up land from the late Peter Lehmann. Highly rated by James Halliday with all their recent releases ageing 5 stars with marks above 95. Clean and pure, luscious texture, delicate fragrant nose, lime, Welsh slate, precise, a superb aged Riesling ready to drink. 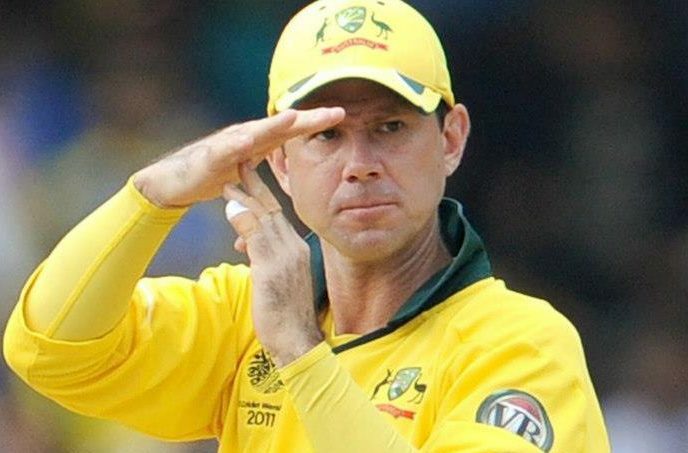 This shows real class. Rare to see a Barossa Cab showing such elegance and restraint. Dark seductive colour, there’s a flinty minerality to this wine bounded by luscious but restrained fruit, violets, a real star. Worth buying this for the label alone! 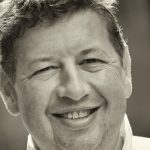 (Roger behave – Ed.) 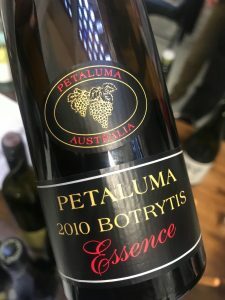 Balanced, a rather clever wine that is vibrant but has bright clean fruit, perfectly rounded and layered with delicate spice, fruity undertones and a restrained rich elegance. 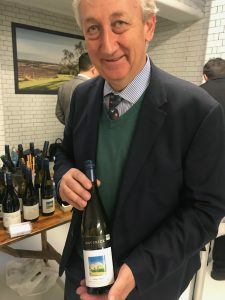 I have been a fan of Mike for many years and he has always produced sublime Pinot and Chardonnay from the Mornington Peninsula, however what really took my attention was his Ocean Eight Pinot Gris 2017, POA. that was one of the stars from the tasting. I am not sure why Italy bothers to make Pinot Gris when guys like Mike can produce such quality from this grape. This had texture, bright fruit, a creaminess that did not cloy, balanced acidity – a pure genius of a wine. 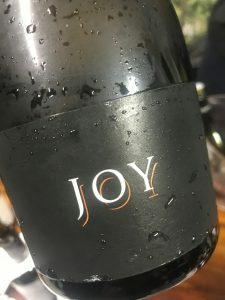 Josef Chromy is famous for its production of sparkling wines from Tasmania, highlighted by their top cuvée Zdar Sparkling 2005, cellared for 12 years before release with a mere 350 bottles available. 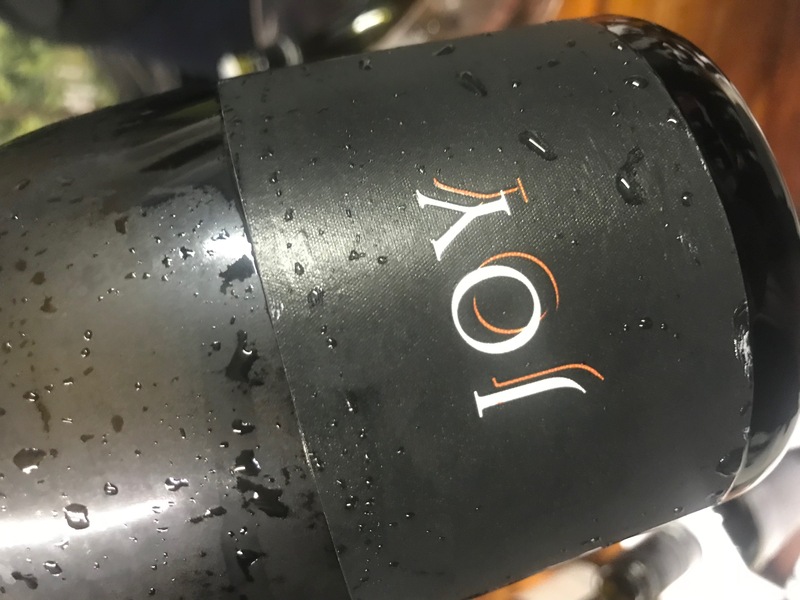 However, rather more obtainable is this fabulous lively sparkling with an aroma of crisp chilled Granny Smith apples, with a citrus freshness splashed across the palate. Delicate tasty ginger biscuits, enhanced by strawberries and white cherries. 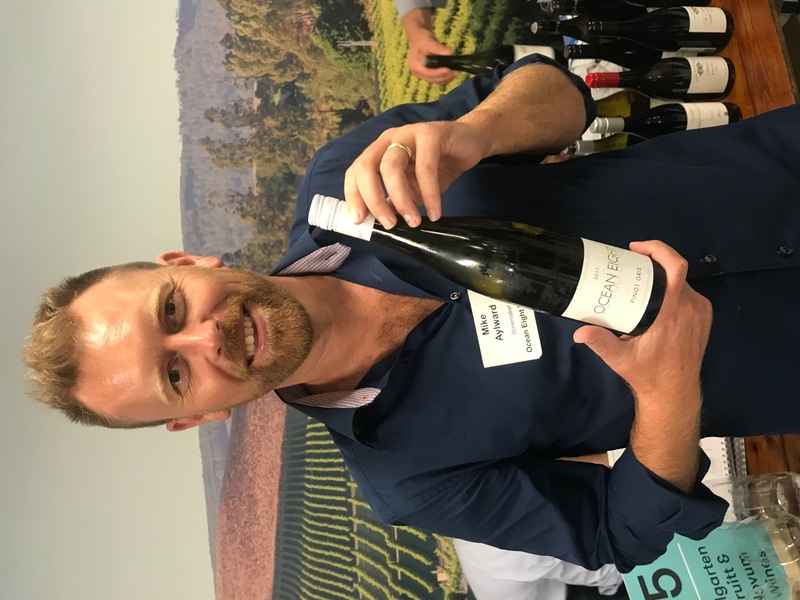 Petaluma achieves greatness with its Chardonnay, especially the ‘Tiers’ Adelaide Hills Chardonnay – and again the 2015 is damn right perfect. 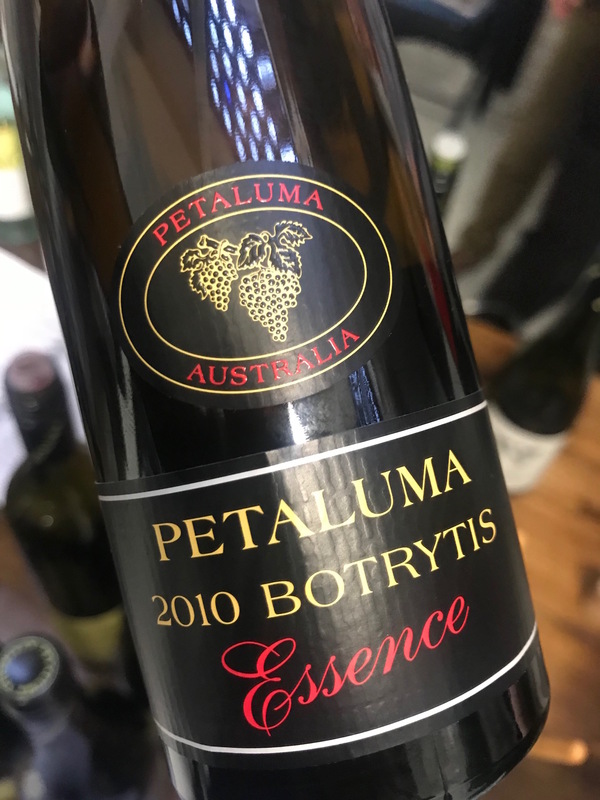 However, a little number under-the-counter was a treasured dessert wine Petaluma Botrytis 2010 Essence, POA a liquid lunch in one sip. Semillon and Sauvignon Blanc blend, this is a rare wine produced in exceptional years. Brian Croser, the original founder of Petaluma, did produce one in 1985. Bright Provence white peaches and luscious apricots, caramelised oranges, luscious deep intensity. 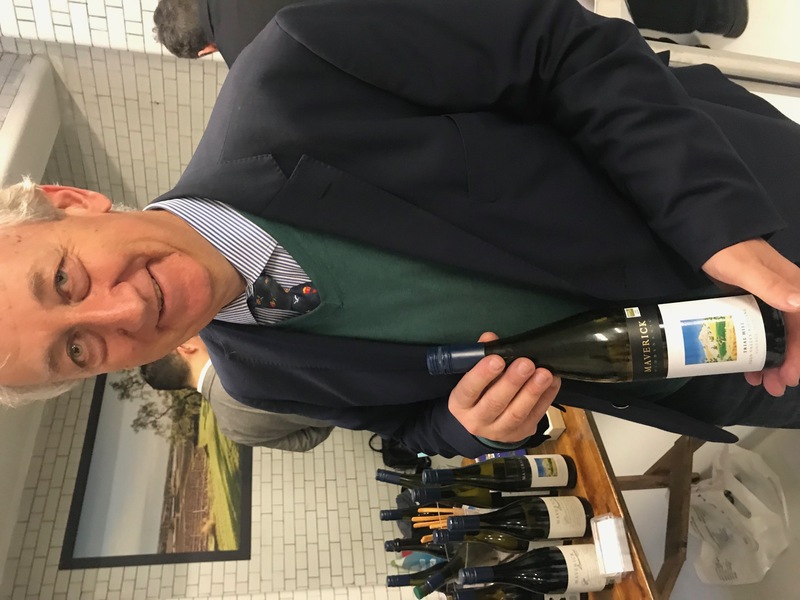 Other highlights included the wonderful wines of John Duval, ex-Grange winemaker (29 years service), who quietly now makes sublime wines under his own label since 2003. I have collected these wines from the start. 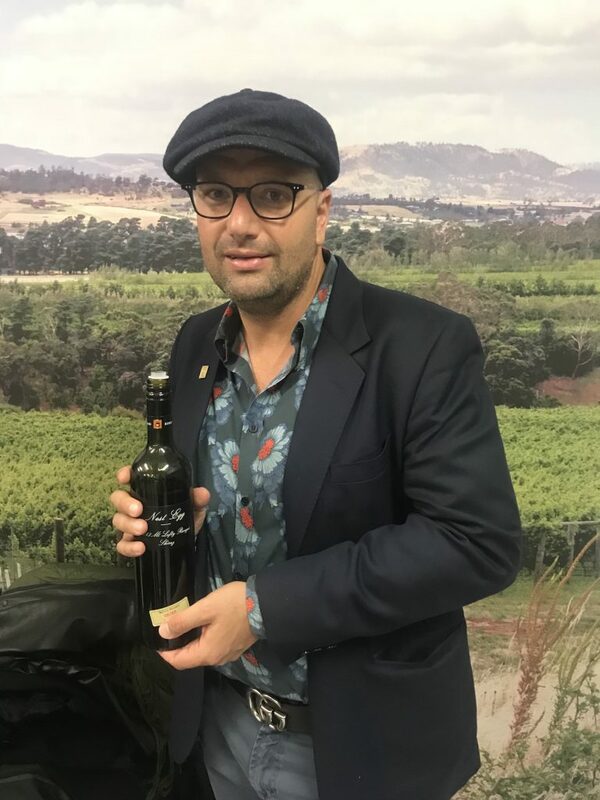 He produces four red wines: “Plexus”, a Rhone style blend of Shiraz, Grenache and Mouvedre, “Entity”, 100% Shiraz, and in exceptional years a limited release reserve Shiraz called “Eligo”. His final red is “Annexus” a Grenache that I have not tried, and was only produced in 2013, 2015 and 2016. My notes said “brilliant! this is oozing in class, a finely balanced masterpiece, cedar, liquorice, bright cherry fruits, plums – smooth, silky, pretty much perfect. 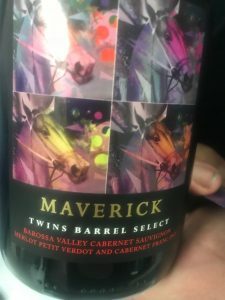 A wine definitely to cellar, a majestic Shiraz that is full bodied, dark flavours, Christmas Cake, black fruits, seductive in its youth but patience please with this wine. Dark fruit on nose, anise and spice, rich meaty cured salami, elegantly combined with luscious lingering fruit, the French oak (as opposed to the traditional American oak) gives a fresher appeal to the Barossa grapes. This is without question the finest Eligo that John has produced, I shall put this away for a decade and come back to it, whilst I continue to enjoy the 2005 from my cellar. Australia is not famous for Chenin Blanc, although L.A.S Vino (Liberty Wines) does make a mighty fine still Chenin. 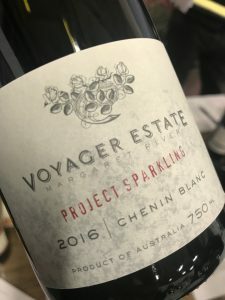 But this must be a first – an Australian Sparkling Chenin, I know quite a few South African Sparkling Chenin but never from Oz, and what a class act it is. Red apples and pink grapefruit on the nose, vivacious textured palate, fresh crumble, delicate stone fruit, crisp and clean finish.